Barneys Warehouse New York is an American luxury apparel company. The wide catalogue includes clothing for men, women, and children. Barneys' classic style is more readily available with the warehouse and contains even more of the collection. With Big Apple Buddy’s personal shopping service, you can now buy direct from the Barneys Warehouse New York online store anytime, anywhere. 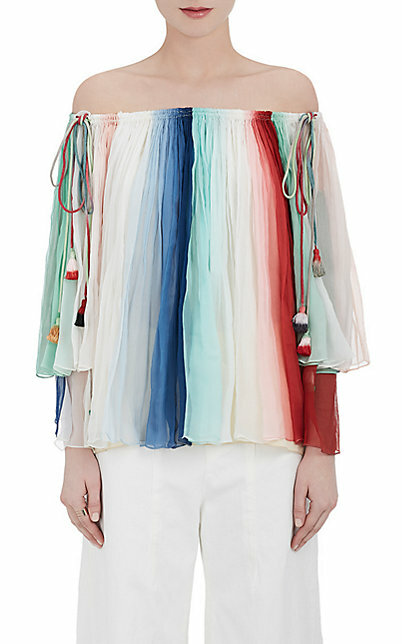 Get ready for the warmer months with the Chloe Silk Off-The-Shoulder Blouse from the Barneys Warehouse New York! This unique top is one of the most popular of the collection and perfect for any occasion. With 100% silk, there's nothing softer and more comfortable than this blouse! The colors bounce off and combine perfectly with each other so you can wear it with anything from your closet. This is the coat you've been looking for! 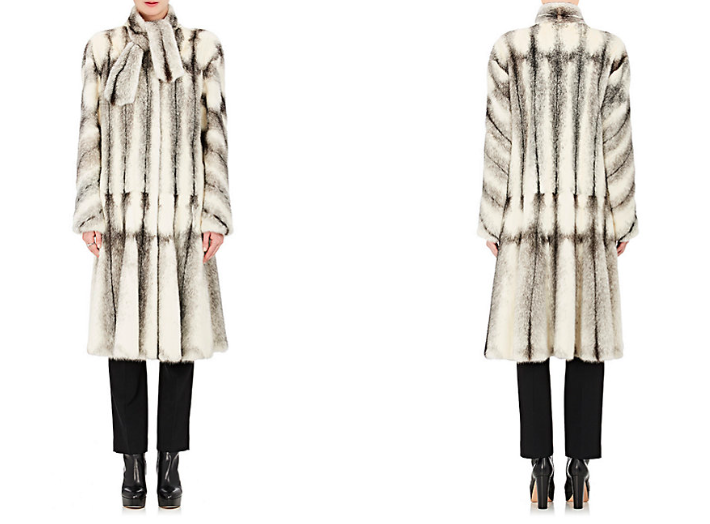 The Lanvin Mink Fur Coat is one of the most exclusive items of the Barneys Warehouse New York collection. This extremely soft and cozy fur coat will be all you need when you want to stay warm but also in style. The scarf tie neck provides that unique touch as well as more protection while the black and white colors allow you to combine with any outfit underneath! Looking for something chic and casual? 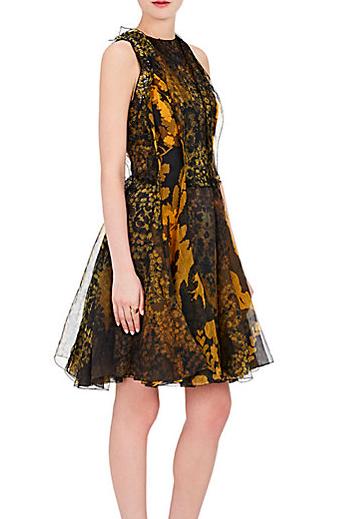 The Lanvin Ruffle Floral Sleeveless Dress can accompany you to any event and make you the spotlight of the party! The black and gold combo is the classy look with a fun twist that you can easily mix shoes and jewelry with. This dress has the signature look of a Barneys style but you can make it your own and have the perfect dress for whatever occasion and season. Unfortunately, the USA Barneys Warehouse New York online store does not currently offer international shipping. However, Big Apple Buddy, your personal shopper, can help you buy products direct from the official USA Barneys Warehouse New York online store and ship them to your doorstep, no matter where you are in the world. We offer international shipping to over 110 countries including Australia, Austria, Azerbaijan, Bahrain, Belgium, British Virgin Islands, Brunei, Bulgaria, Canada, Chile, Costa Rica, Croatia, Czech Republic, Denmark, Estonia, Fiji, Finland, France, French Polynesia, Germany, Gibraltar, Greece, Greenland, Hong Kong, Hungary, Iceland, Indonesia, Ireland, Israel, Italy, Japan, Jordan, Kuwait, Latvia, Liechtenstein, Lithuania, Luxembourg, Macau, Malaysia, Maldives, Malta, Marshall Islands, Mauritius, Monaco, the Netherlands, Netherland Antilles, New Zealand, Norway, Oman, Poland, Qatar, Romania, San Marino, Saudi Arabia, Serbia and Montenegro, Seychelles, Singapore, Slovak Republic, Slovenia, Spain, South Africa, St. Lucia, Sweden, Switzerland, Taiwan, Thailand, the UAE, the UK, Vatican City, and Vietnam. If you would like to buy from the USA Barneys Warehouse New York online store, simply let us know which items you would like to order (by filling out the form below) and we’ll get back to you with a free international shipping quote within 24 hours!